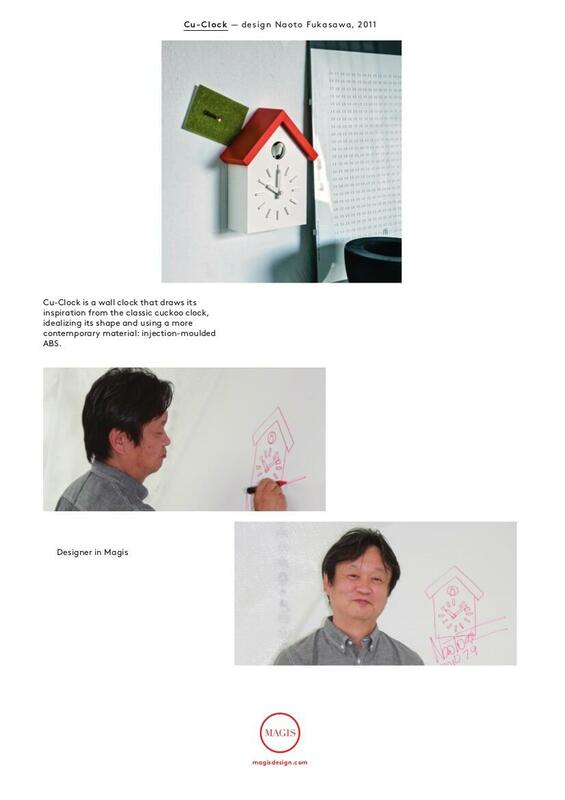 The Japanese designer Naoto Fukasawa designed the Cu-Clock wall clock in 2011 for the Italian manufacturer Magis. 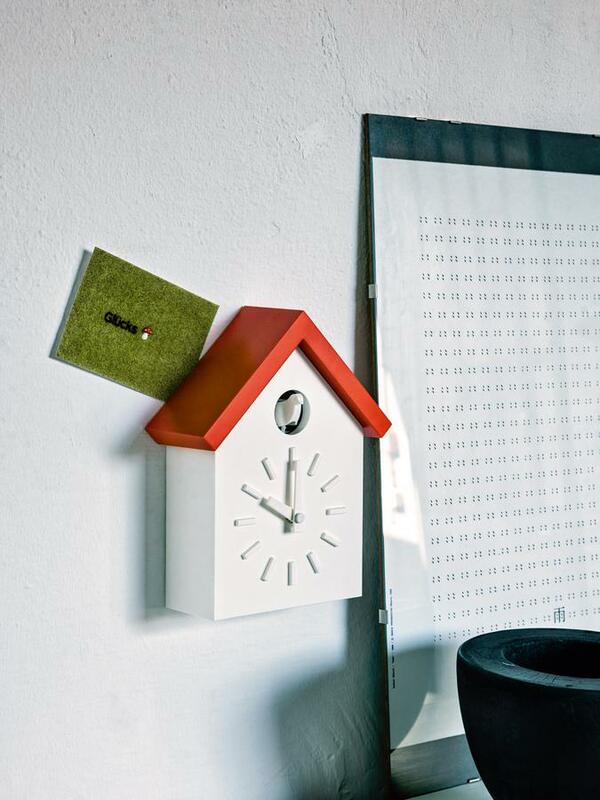 A contemporary reinterpretation of the classic cuckoo clock which the Magis Cu-Clock provides for a simplistic yet interesting accessory in different room situations. Datasheet Please click on picture for detailed information (ca. 1,4 MB). 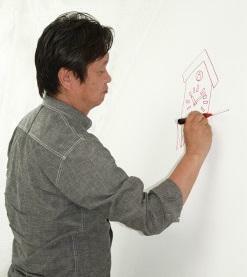 The Japanese designer Naoto Fukasawa designed the Cu-Clock wall clock in 2011 for the Italian manufacturer Magis: and in doing so the internationally renowned industrial designer created a contemporary reinterpretation of the classic cuckoo clock which fits as a simplistic yet interesting accessory into numerous room situations. 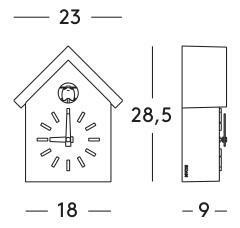 Whereas the traditional classic Black Forest cuckoo clock is crafted from solid wood and is generally heavily embellished the Magis Cu-Clock is defined by its clean lines and unobtrusive design. 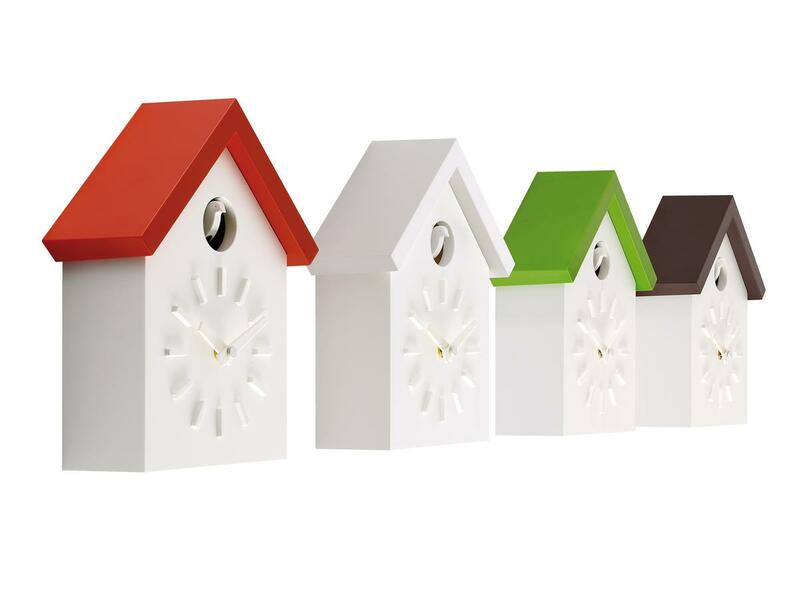 Formed from ABS via a standard injection moulding process, the Magis Cu-Clock wall clock is available in different colour variations. The design of the Cu-Clock wall clock is in many ways representative of the innovative portfolio of Italian furniture manufacturer Magis: refined, future-oriented forms implemented with minimal material usage and to create pleasing, durable furniture that is ideal for sophisticated contemporary interiors.